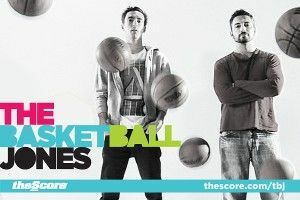 Join The Basketball Jones on the sonic journey that is The Overdose. On today’s show, we examine Linsanity. (Can Melo and Jeremy Lin coexist? Should the Knicks have “thrown” that game against the Wolves? And who will star in the inevitable Jeremy Lin movie?) We also discuss New York’s J.R. pickup, list some overlooked NBA storylines, and break down the Sprite Slam Dunk Contest participants. All that, plus Leigh’s “Tweet of the Weak,” an enthusiastic edition of “The Pun-Gun Game,” Shaq’s latest comments about Dwight, 3-point gunners, and more.